Foursquare has just announced its “Foursquare for Universities” program with 20 university partners and “dozens more” represented by Foursquare “campus ambassadors”. 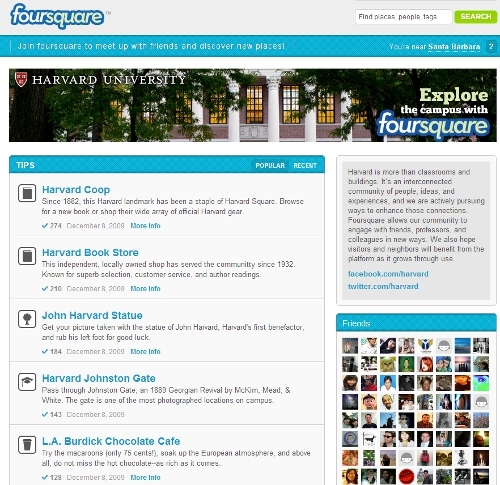 Foursquare lists Syracuse, Harvard (below), Stanford, and Texas A&M as having already launched, and from the sound of things they have a lot of other universities lined up. Encourage students to explore their campus and participate in campus events and student-run activities. Communicate campus traditions and historical facts about the university as students experience campus life. Direct students to campus facilities, such as computer stores, dining halls, and book stores by providing targeted specials and promotions. 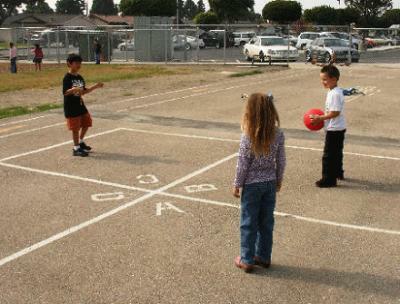 Facilitate social connections by providing a tool to help students easily find friends and foster deeper school pride. Of course, this move makes perfect sense for Foursquare, and frankly would for any location service. Not only are universities the perfect places for check-ins and mayorships/badges (many different locations , classes, events, etc) but also target the exact people that Foursquare and others would love to lock into their services – college students. I’ve checked into a number of universities since I started using Foursquare last year, and I can say for certain that there is strong adoption on campus. One issue, however, is the location data – as so many places are so near to each other and campus buildings aren’t really always given a street address, often it is hard to find the exact building you’re looking for. Also, classes and events will also have to really rely on users to add them to the service, although Foursquare could theoritically enable a dashboard for certain stakeholders on the university to fill out those places/classes/events as well. Good move by Foursquare and now the fight will be on to see if they can corner this very important market quickly, especially before Facebook Places rears its powerful campus head.